New light in the book of Daniel has revealed a shocking truth: the close of probation is imminent! 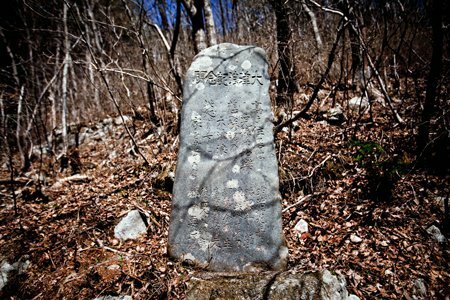 One of many tsunami stones scattered along Japan’s coastline. The day dawned like any other early spring morning. Children, in crisp school uniforms, hurried to classes while adults attended to the business of the day. Plans were made for the weekend. Life continued apace in its comfortable regularity, all unaware that within hours a series of waves would arise from the depths, sweeping over the land. 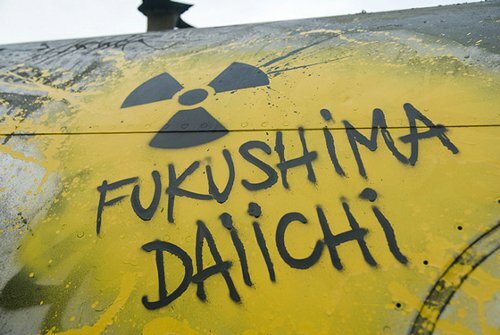 Nearly 16,000 lives would be blotted out of existence, over 2,500 individuals would never be accounted for, and multitudes more condemned to die more lingering deaths from cancer and other ailments linked to radiation exposure from the nuclear meltdown at the Fukushima Daiichi power plant. Friday, March 11, 2011, the worst earthquake to hit Japan since AD 869, devastated the main island of Honshu. The Heavenly Father wants none to be taken unawares. In His infinite love and wisdom, He has provided very clear prophetic markers by which all can know where we are in the stream of history. However, the prophecies have been misunderstood and incorrectly interpreted. Multitudes are as unprepared as were the Japanese on the morning of March 11, 2011, when the earthquake hit Fukushima. These markers reveal that the close of probation is much nearer than any have previously realized. Students of prophecy have always known that the books of Daniel and Revelation are Heaven’s gift to the final generation, revealing the future from the dusty realms of the distant past. Now, however, new light has revealed that the prophecies contained in Daniel 11 are not future incidents but, rather, are events that have already occurred! The night is far past. The dawn approaches, but multitudes sleep on completely oblivious to the fact that the world is ending and probation, for some, could be closing in the next few months. Daniel 11 has confused many Bible students. It is full of references to a mysterious “King of the North” and an equally baffling “King of the South” who seem to be in a long-running war, each pushing at the other. While most of the chapter has been understood to have occurred in the past, verses 40 to 45 in particular have typically been viewed as events still to unfold in the future. Satan has encouraged this interpretation in the hopes of catching the world off-guard. WLC is convinced that the identity of these three powers is of great significance to those living on earth at this time. Knowing who they are reveals where we are in the stream of history. The King of the North is the Ottoman Empire. The King of the South is Egypt. The Willful King is Napoleon/France. “This liberal democratic revolution also initiated the disestablishment of sexual orthodoxy, permitting greater individual freedom, and extracting the state from the regulation of homosexuality. The end of the world, the closing up of time as we know it, is not just a point in time. It is also a process. During this process, a number of things have to occur. The King of the North, the King of the South and the Willful King were all powers, raised up by Yahuwah, to do an appointed work, at an appointed time. There can be no doubt whatsoever that the Willful King who exalted and magnified himself above every god, who honored the God of forces and “a god whom his fathers knew not,” the king who regarded “not the desire of women,” is none other than Napoleon Bonaparte and the country of France. A careful, verse by verse exposition of the identifying hallmarks that link the Willful King to Napoleon and France is beyond the scope of this article. However, suffice it to say that Napoleon was raised up by Yahuwah to act an important part in closing events. On February 10, 1798, General Louis-Alexandre Berthier, acting on Napoleon’s orders, marched into Rome. Pope Pius VI had been hostile to the ever increasingly atheistic French. When he refused to submit to French authority, General Berthier took him prisoner on February 20 and hustled him out of the city under cover of darkness. The aging pontiff was moved from place to place until he finally died in exile the following year. Taking the pope prisoner was an incredibly audacious act, one unheard of and completely unprecedented up to that time. Kings had trembled at the displeasure of popes. It was a long fall from the days when Pope Gregory VII kept the Holy Roman Emperor, Henry IV, kneeling in the snow for three days before granting him forgiveness. Henry IV had called the pope a “false monk” and a usurper—an action, for which, the pope retaliated by telling Henry’s subjects that they did not have to obey him.4 Napoleon did more than sling words. He actually took the pope prisoner. The declarations of Yahuwah are as firm as His throne. His purposes cannot be hastened nor delayed. At the right time, Heaven freed France from its papal oppressors and raised up Napoleon Bonaparte to be the needed change agent. Taking the pope prisoner inflicted the deadly wound on the papacy. It brought to an end 1260 years of papal dominance and began, as a process, the time of the end. And at the time of the end shall the King of the South push at him [the Willful King]: and the King of the North shall come against him like a whirlwind, with chariots, and with horsemen, and with many ships; and he shall enter into the countries, and shall overflow and pass over. Again, a text-by-text analysis of this passage is beyond the scope of this article. However, Egypt did indeed “push at” France and in the very year specified in the prophecy as being “at the time of the end”! Egypt, under the rule of the Mamluks, had virtually destroyed French trade with Egypt. It was to rectify this situation, and probably with the intent to make Egypt a French colony, that Napoleon invaded Egypt in 1798 – the very year that began the “time of the end”! Egypt’s destruction of her trade with France was not a huge offense. Egypt merely “pushed at” France. France’s response, however, set off a long chain of reactions with some very unintended consequences. Napoleon had assumed that the Ottoman Empire would be grateful at best, neutral at worst, for the French overthrow of the Mamluks who themselves had previously fought against Ottoman rule. 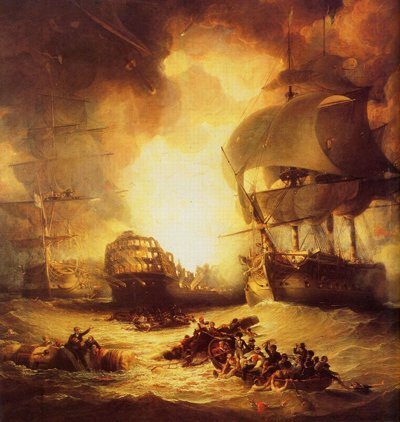 Napoleon's fleet was virtually annihilated by the British at the Battle of the Nile. Only two French ships escaped, leaving Napoleon’s forces stranded in Egypt and cut off from all supplies. The battle cost the British 200 lives while the French lost 1,700, with an additional 3,000 captured. Image by George Arnald. This arguably naïve assumption on the part of the French was proven false when, on August 1, 1798, British admiral, Horatio Nelson, destroyed the French fleet. Shortly before the King of the North/Ottoman Empire came to his end, he did indeed “plant the tabernacles of his palace” in Palestine by moving part of his seat of government there. Only a few years later, the King of the North came to his end, and none helped him. 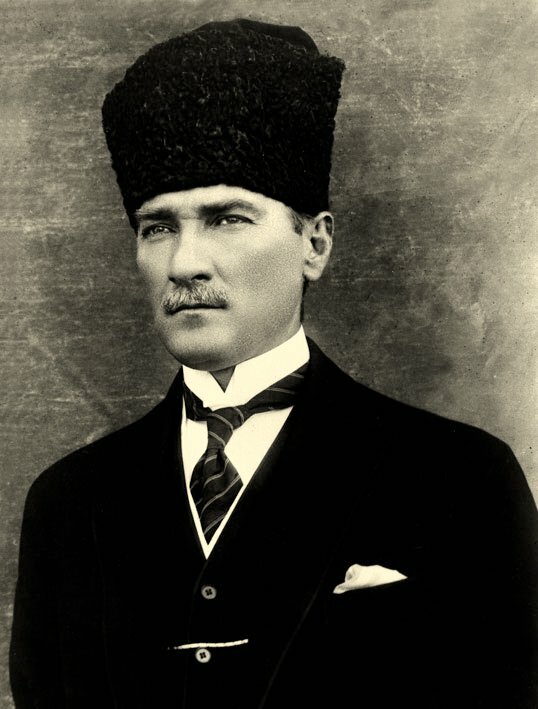 Just as Napoleon was the sword of Yahuwah to give a deadly wound to the papacy, Mustafa Kemal was raised up by Yahuwah to give Islam a deadly wound. Kemal was a brilliant strategist and a skilled statesman. He wanted to modernize Turkey and he saw the best way to do this was by divorcing her from the Islamic religion that had been an integral part of the Ottoman Empire. One of the first things Kemal did was to abolish the Ottoman sultanate and transform the caliphate into a mere figurehead. The caliphate had existed since the death of the Prophet Mohammed and was revered as a religious authority by Muslims in many different countries. Within a year and a half of eliminating the sultanate, Kemal and the Grand National Assembly abolished the caliphate as well. The incredible reforms initiated by Kemal were very far-reaching and were completely unprecedented. No Muslims, in a Muslim country, had ever brought about such reforms. The constitution of the Republic of Turkey was changed so that Islam was no longer the state religion. Shariah law was replaced with European legal codes. The traditional garb of religious leaders was outlawed. Turbans and fezzes were outlawed for men, while western-style hats were encouraged. Women’s hijabs were ridiculed and banned from all public buildings. The solar Gregorian calendar replaced the lunar Islamic calendar. Arabic script was replaced with Latin letters. This kept the younger generations unable to read many records, and thus, ignorant of their true history. It also made it impossible to read the Qu’ran in the original language. The government seized over 70,000 mosques and restricted the building of new ones. The confiscated mosques were converted to museums or were used for secular purposes. The Ministry of National Education oversaw all religious instruction. Sufi (a sect of Islam) monasteries, meeting houses and lodges were confiscated. Their rituals and meetings were outlawed. The government appointed muftis and imams and kept oversight of them. The Muslim call to prayer was banned in Arabic. Henceforth, it must be made in Turkish. The weekend no longer included Friday, the traditional Islamic day for prayers. Instead, the weekend followed the European example of having Saturday and Sunday for days off work. Rebellion to the secular agenda was quashed promptly and brutally, the Seyh Sait rebellion alone cost almost 30,000 lives. Like the papacy before it, the Ottoman Empire (and Islam in general) had received a deadly wound at the very time prophesied in Daniel. The King of the North had come to his end and none helped him. For the first time in history, a pope became king with the signing of the Lateran Treaty. When the King of the North came to his end. At that time, the time of trouble began! Nineteen twenty-two was an extremely important and significant year in the stream of prophetic history. In 1922, the Ottoman Empire, with its influence over all of Islam, was ended. The King of the North had come to his end with none to help. In that very same year, Pope Pius XI ascended the papal throne. 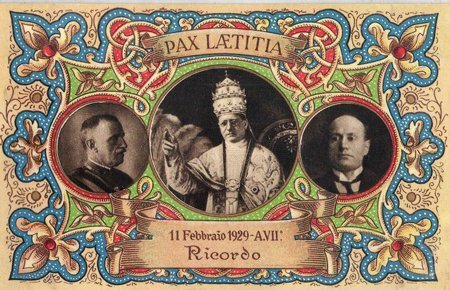 Almost to the very day, seven years (or one sabbatical cycle) later, Benito Mussolini and Pope Pius XI signed the Lateran Treaty, which “recognized papal sovereignty over the Vatican City…and secured full independence for the pope…[The treaty] gave the city of Rome a special character as the ‘centre of the Catholic world and place of pilgrimage.’ ”13 For the first time in history, the pope himself became a “king.” He held independent political dominion over Vatican City and could send and receive ambassadors from the various governments of the world. Thus at the very time the King of the North came to his end, the time of trouble began when the “deadly wound” (given the papacy by France) was healed. This is extremely important because this signified that the count of the eight kings spoken of in Revelation 17:10-11, had begun. There can be no doubt that the fall of the Ottoman Empire in 1922, dovetailing with the start of the count of the eight kings, represents the perfect fulfillment of Daniel 11:45. The time of the end began in 1798 when the papacy received a deadly wound. The time of trouble began in 1922, when the first of the eight kings ascended the papal throne, preparatory to the deadly wound being healed. The focus given the “seven last plagues,” spoken of in Revelation 16, has led to a generalized assumption that the period when the plagues are falling is The [Official] Time Of Trouble. And that will be a most horrible time. However, during that time, after probation has closed, Yahuwah’s people will be preserved and none of the righteous will lose their lives. 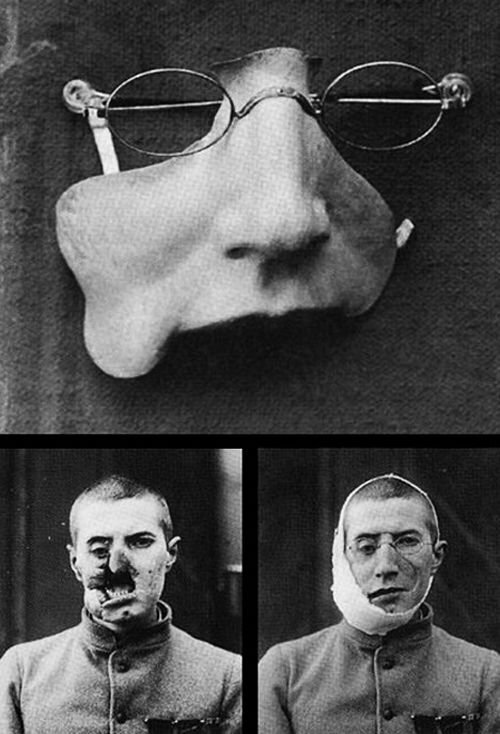 World War I veterans, desperate for help, would turn to sculptors to create facial prostheses for missing eyes, noses, even jaws. The time of trouble spoken of in Daniel 12:1 is much broader. While it does include the seven last plagues, it also encompasses time since 1922. More people have lost their lives during the 20th century than at any other time period in history. “The total number of military and civilian casualties in World War I, was around 40 million. There were 20 million deaths and 21 million wounded.”14 Twenty-one million wounded had far more devastation back then when medical science was not as advanced, than such injuries would have today. The devastation wrought on the human race during the 20th century is unprecedented in world history. Never before in history have we had two such devastating wars within 100 years, yet these two wars occurred within 30 years of each other. Since World War II and even before it there has been one war after another. Between the two world wars, we had the Russian Civil war, costing up to 9 million lives, and before that the Mexican Revolution in 1911 which killed 2 million. In 1950 the Korean War killed 3 million, 500 thousand. Then we had Vietnam with 6 million, 20 thousand. The second Sudanese War from 1983 to 2005 costing 2 million. The Iran-Iraq war of 1980 to1988 with 2 million. The second Congo War of 1998 to 2003 with 5 million 400 thousand. The war on terror itself has claimed more than 4 million lives. When you add the figures together the total is 146 million, 920 thousand. This makes the last 100 years the deadliest century in history, just from the warfare and there were many more conflicts during this time that we didn’t even mention! But these statistics reveal only part of the story: deaths due to war. Stalin’s terror famine in the Ukraine, Holodomor, an artificially created disaster18, claimed over 17 million lives in 1932-1933 alone. 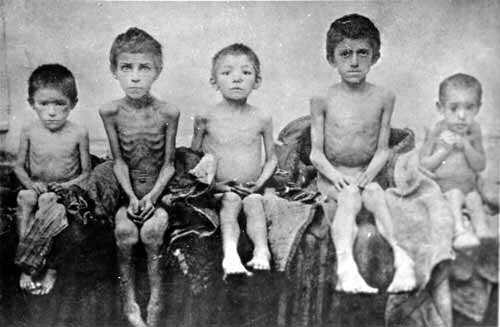 The 1932-1933 famine in the Ukraine, known today as Holodomor (Ukrainian: Голодомо́р, "Extermination by hunger" or "Hunger-extermination"), was a planned genocide of Europe’s “bread basket.” There was no actual shortage of grain. Rather, the grain was locked away in granaries and purposefully kept from the people. And these are but two of many famines the world has seen since 1922. Hundreds of millions have died due to disease since the time of trouble began and, despite medical advances, the diseases are getting more virulent and harder to treat. So-called “natural disasters” have claimed the lives of hundreds of million more. The suffering experienced boggles the mind. The new norm is record breaking extremes: in heat, in drought, in cold, in hurricane strength, in perciptation. And the list goes on and on and on. There were only 78 natural disasters reported in 1978 as opposed to 348 in 2004. And in the years since then, the numbers have skyrocketed, as have the deaths from these events. Truly, the years since 1922 have been “a time of trouble, such as never was since there was a nation even to [this] same time.” The immense suffering of the 20th and early 21st centuries were forecast in the prophecies of Daniel. These tragedies will only increase in the near future as the world gears up for the close of probation, followed by the pouring out of the seven last plagues. It is during this time of trouble that Michael stands up. Yahushua stands when probation closes. It is a judicial act signifying that the door of mercy has closed. The advanced age of Pope Francis, the eighth and last king, is an urgent, blaring testimony to how soon these events will take place. 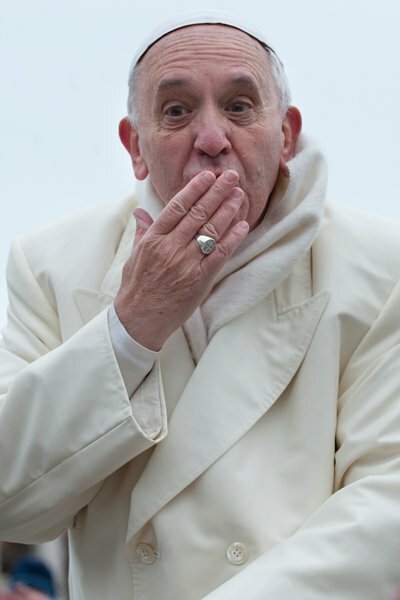 Pope Francis I is the eighth and final pope foretold in Revelation 17. He is an old man. He has already lived longer than the average man. It is during his reign that Michael will stand, signaling the close of probation. This means that it is during his few remaining years, the final events foretold in Scripture will take place. Yahushua will stand for His people. His ministration in the Most Holy Place will end, probation for the human race will close, the seven last plagues will be poured out on the lost, and the Saviour will return in triumph and glory. Now is the most solemn time in which to be living. There are very few events left to be fulfilled before Yahushua is seen in the clouds of glory. There are but a few short months to the brink of disaster and the final events that will trigger the end. The time for character perfection is almost over. None can delay or postpone a preparation but at the most dangerous risk to their soul. Every sin and defect must be overcome through faith in Him who has already conquered all. Everything is now in place. All that is left is for the fall of the Seven Trumpets foretold in Revelation 8-9. These begin with a horrific earthquake. The trumpets follow in quick succession. Once begun, there will be no respite until the end. The Fifth Trumpet, which is so terrible Scripture refers to it as the First Woe, will catapult Pope Francis to be the head of the New World Order, as foretold in Revelation 17:12-14. The satanic delusions of alien invasion during this time will be dreadful and only those who are grounded upon the Word of Yah will be able to stand, unshaken, for the truth. When Pope Francis has been elevated to world leader, he will wage the fiercest war ever seen against Yahuwah and His law-abiding followers. The false Sabbath will be enforced and the true Sabbath will be outlawed throughout the countries of the world. The stage is set. All the players are in place. The only thing standing between the masses and the final test is the sounding of the trumpets. The warning markers of prophesy declare that time is ending. All who love Yahuwah will surrender fully to Him to be cleansed of every defilement. 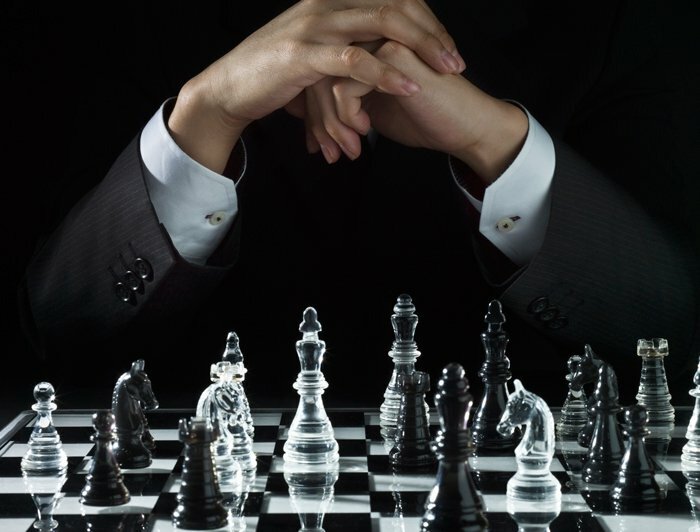 All will make self-sacrificing efforts to win the lost to Him. The end is here! Yahushua is on His way! 7 Some estimates go as high as 1.5 million Armenian Christians slaughtered by the Turks. 9 Roberto Mazza, Jerusalem from the Ottomans to the British, p. 21. 15 World Book Encyclopedia, ed. 1991, Vol. 21, p. 470.